We breed a Katahdin / Dorper cross to produce sleek coats which shed off easily in the spring, which means no shearing! Many of our sheep have colorful patterning, which makes their pelts ideal for tanning in the early spring, right after their winter coats shed off. 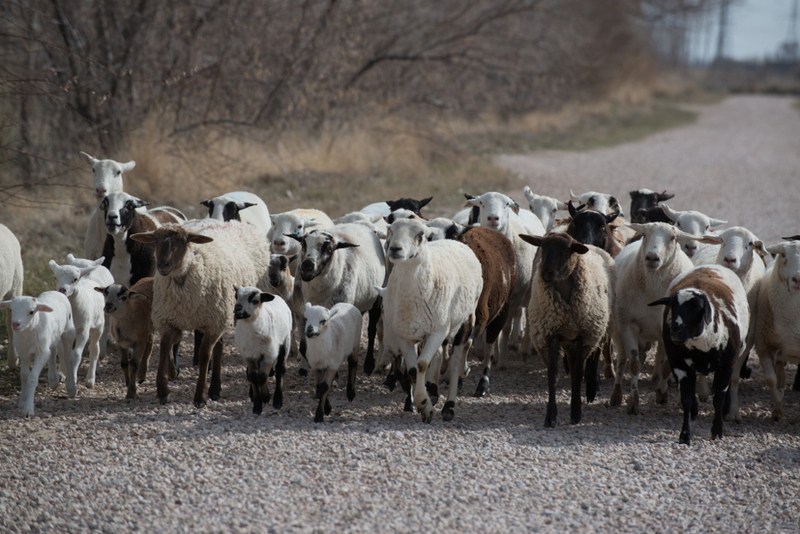 Our goal is to produce lambs with high growth rates and high feed efficiency. All of our sheep are grass fed. If you want natural, grass fed lamb to eat let us know.